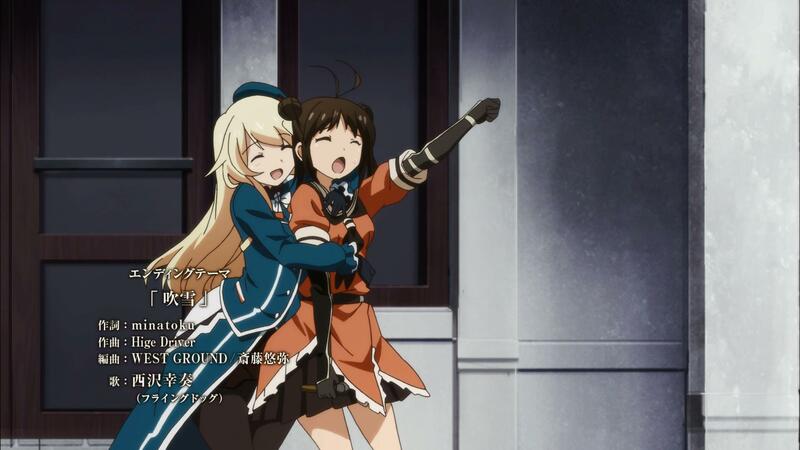 And thus ends our series of hopes and dreams of many a teitoku. It was an interesting ride to say the least (and kindest), and a lot of us got to see our girls on the screen. I think though, for such a hyped series, it has fallen short of many people’s expectations. I was pretty lenient, even more so than some, but I always had this nagging feeling that it could always be better. 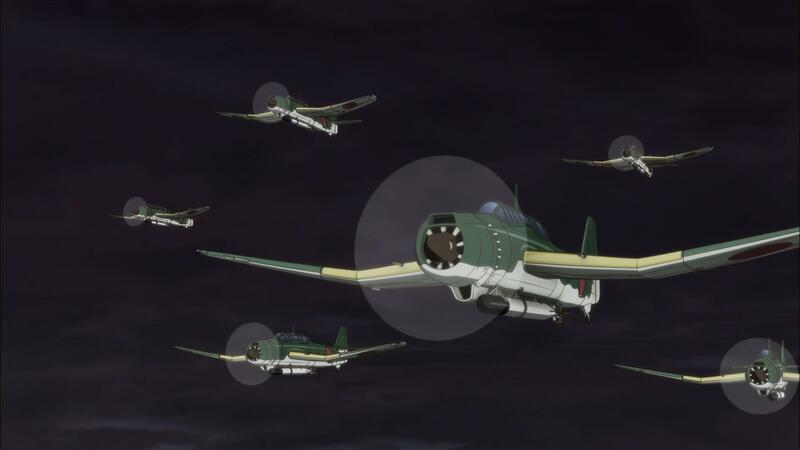 As Akagi awaits her fate coming back to her, the offending planes are struck down by an arriving Fubuki. Providing cover, Kaga hands Akagi her bow in time to launch interceptors, while Kongou and the rest arrive. Joined by everyone on Truk, Zuikaku explains that they had gotten instant repair buckets from nowhere. 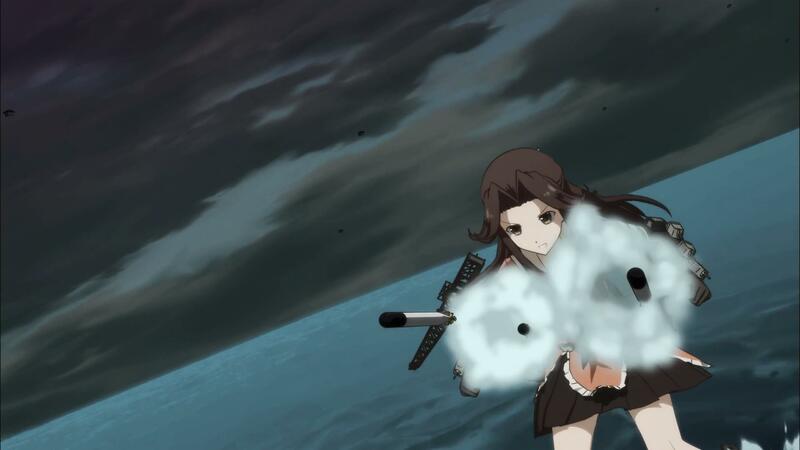 Yamato feels that it’s as if she’s been waiting a long time for this battle. 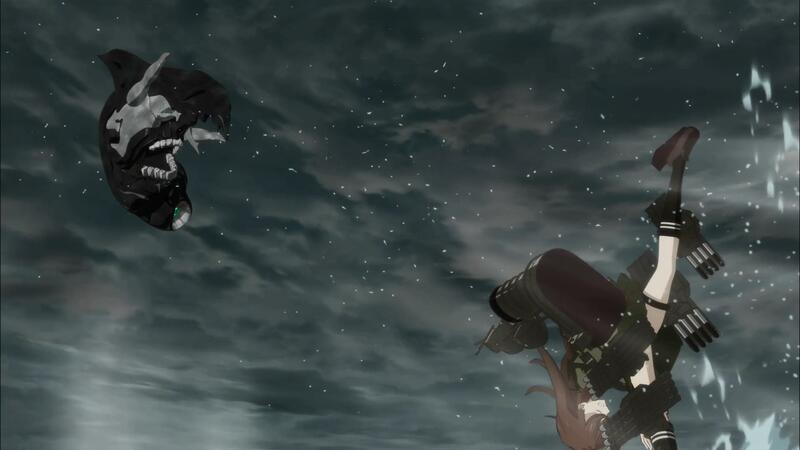 Firing a load of Type 3 shells at the Airfield Hime, the Abyssal tells them all to sink in its eerie voice. 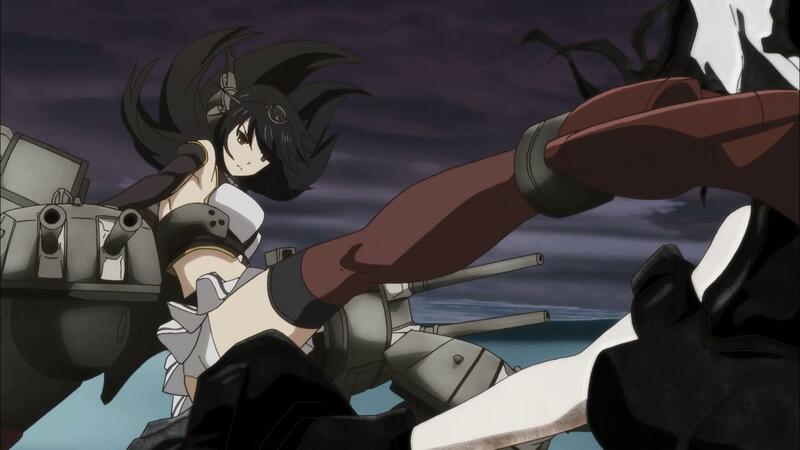 The battle is joined as the Abyssal fleet shoots at the newcomers. Ordering Yamato’s force to attack while the carriers launch to gain air supremacy. Ooi and Kitakami are reunited and show off their torpedo spam, while the main force sinks one Wo class. 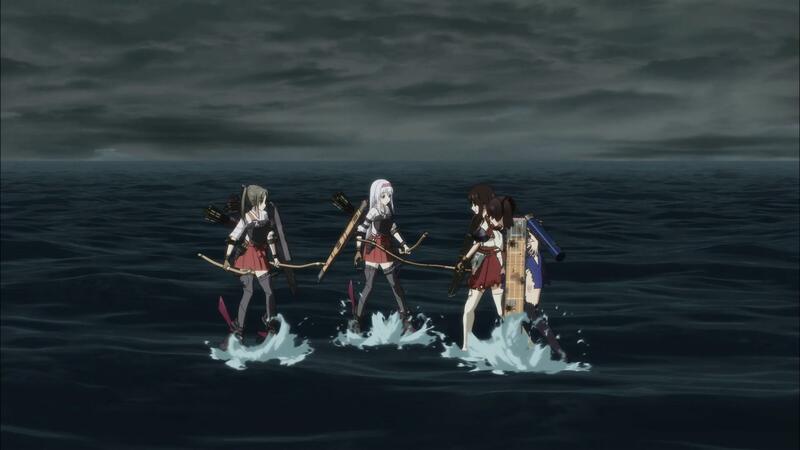 Zuikaku hands off a spare bow to the wounded Kaga, which also releases a repair goddess which brings her back to fighting trim, while Shoukaku hands off more arrows to the two members of CarDiv1. 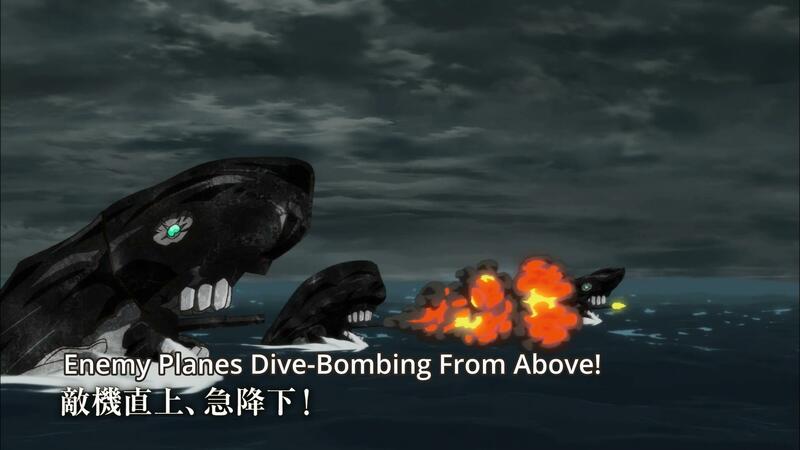 Firing dive bombers, the Airfield Hime is attacked and her runways damaged, allowing Yamato to launch an attack that kills it. Relieved, Yamato is attacked when a second carrier shows up. Yamato tells them they can’t retreat, still feeling a strong force at play, and the Airfield Hime is reborn into a new form. 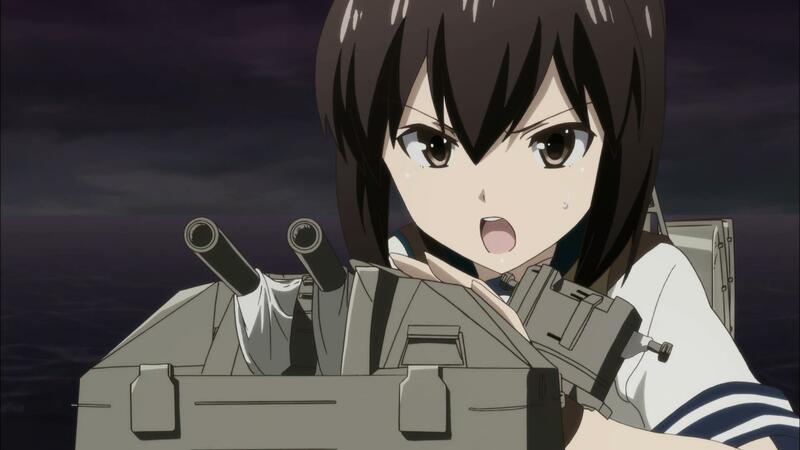 With Fubuki pushing her friends forward, Nagato arrives with the rest of the naval district’s deployed fleets, and everyone gets their chance to say a one-liner and shoot things, with Nagato entering close quarters combat with a Chi-class CLT. The incoming fleets had come under orders to go to base AL, only to show it was a feint, and head back to MI. With the enemy forces split, they launch a barrage at the new Airfield Hime, only to see it regenerate from their attacks. 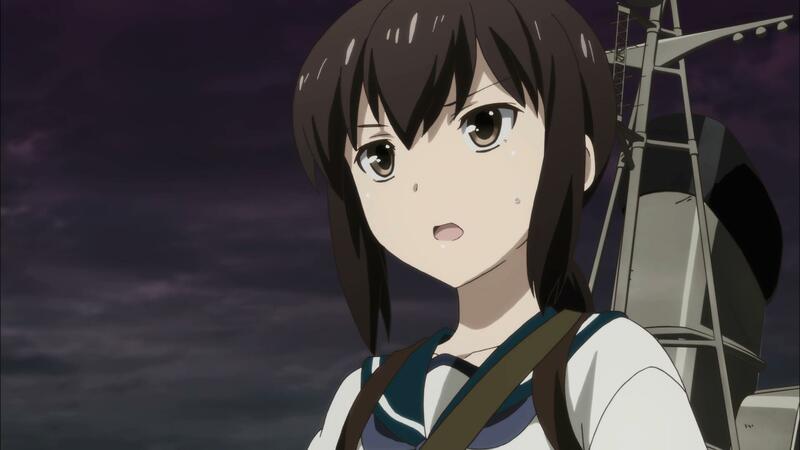 Fubuki deduces there was a reason that they were to go after the carriers first. 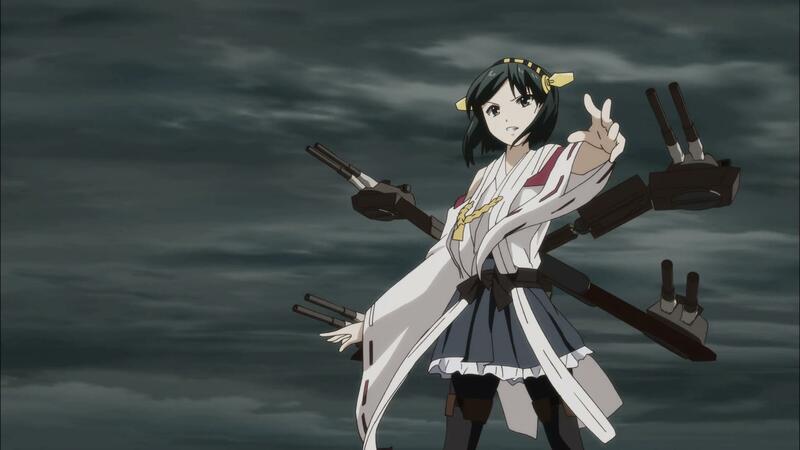 Nagato orders Fubuki, Yuudachi, Mogami, and the Sendai sisters to take out the carrier, which they manage to do. Attacking the Airfield Hime again, it still regenerates. Out of arrows and with things looking bleak, a new air group arrives from nowhere. Fubuki spots the newcomer, being the Armored Aircraft Carrier, Taihou. 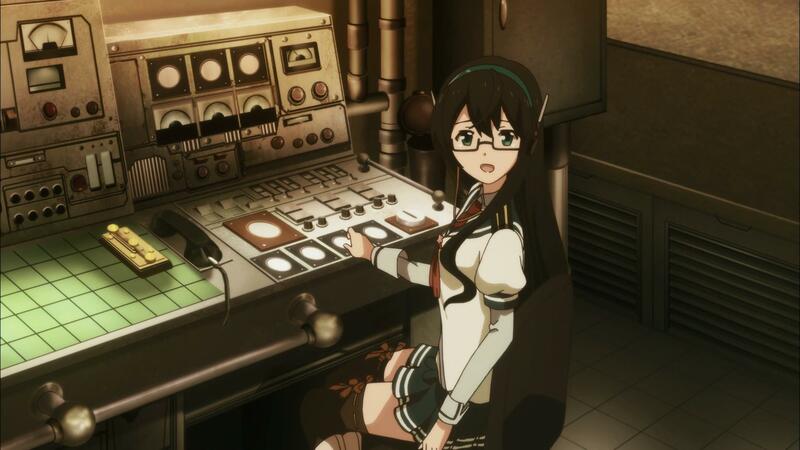 Asking them to break radio silence, Ooyodo comes with news that the Admiral had returned, with orders to defeat the enemy carrier force. 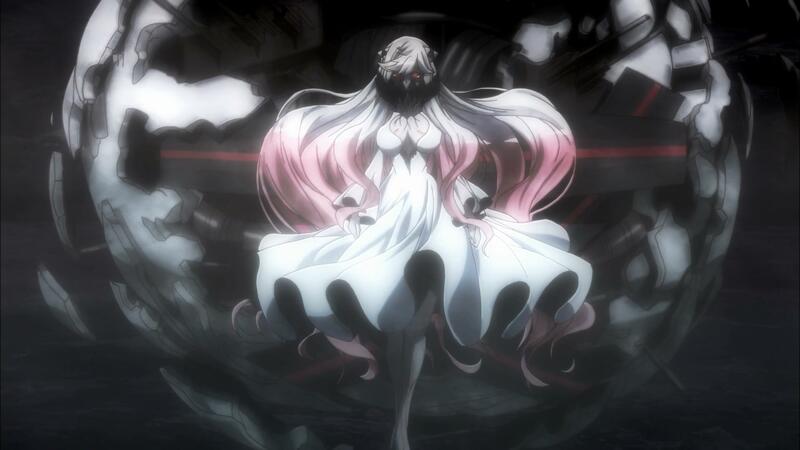 At this time, the Wo-class Flagship Kai appears (Black Wo~ck Shooter). Feeling that she is the last carrier, Nagato orders her and Kongou to defeat the carrier. 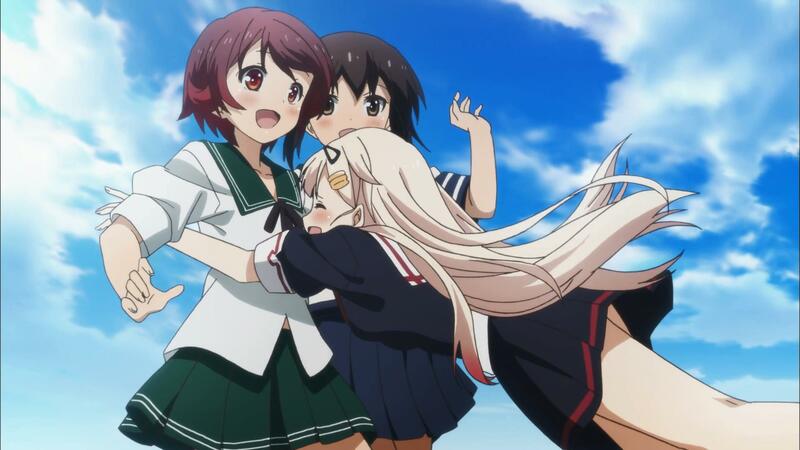 With all others providing support, Fubuki manages to get close to the carrier and kill her (off screen). 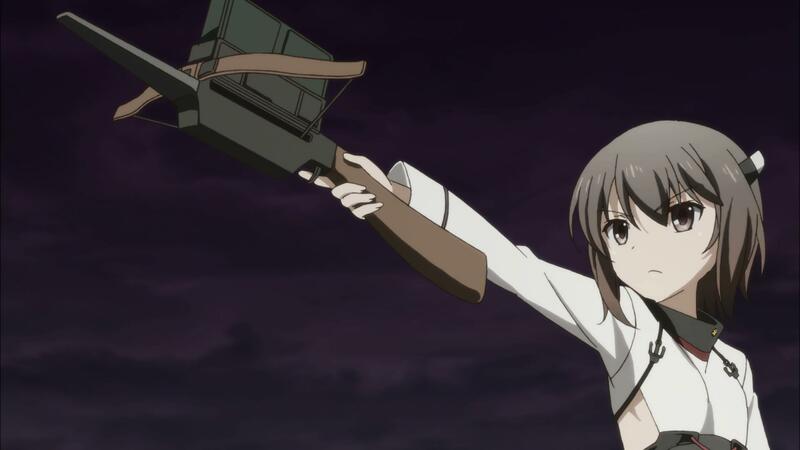 Nagato and others fire a volley, and when the Airfield Hime doesn’t regenerate, they fire one last volley to kill it off. Back at Fubuki, she watches as the remains of the Wo-class sink, as a disembodied voice calls out for it to ‘give it back’. The girls are now exhuberant as they won, believing they changed a fate that had seemed unstoppable, and head back to base. 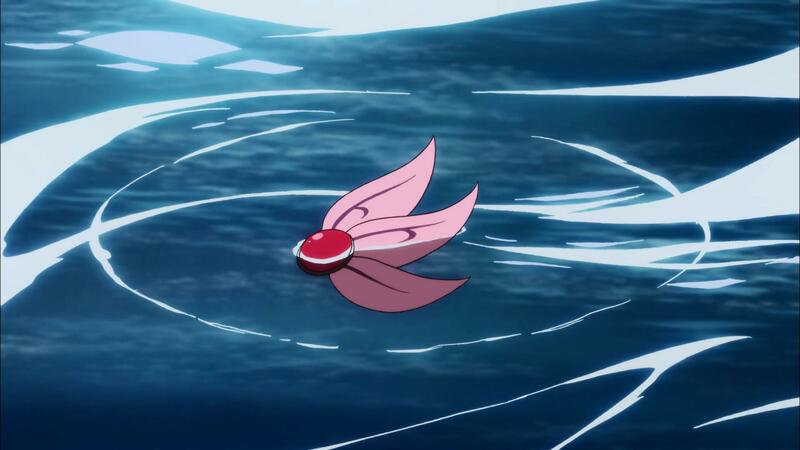 From the depths of the ocean, Kisaragi’s hairpin rises to the surface. Back at base, everyone is reunited, Kaga hands Zuikaku her spare bow with an origami rabbit on the string, Kongou once agains mistakes Ooyodo for the admiral, and before she could get off, the rest of the sisters tackle the poor light cruiser. Naka is teased by Takao, Shimakaze isn’t going fast, 6th DesDiv is amazed at Taihou, while it seems like Mutsu wants to marry Nagato. Fubuki catches up to Akagi and it seems that her sempai finally notices her, while Fubuki runs back to the cliff to recount on her journey, only for the Admiral to sneak up behind her and no doubt have a one on one with the destroyer, who welcomes him back. I should be happy. I should like it. But I don’t. There were battle scenes that were kinda good, and most girls that had been shown with some speaking line had a chance to fight and do something. 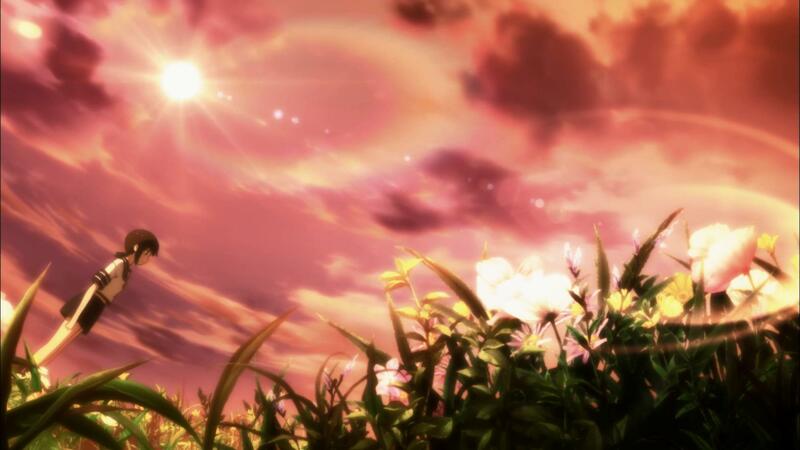 But the finale to me felt, lack luster. Rail Wars consistently led me on with a string but I wasn’t too sad that it ended with such an ambiguous ending that reinforced the harem aspect of the show. 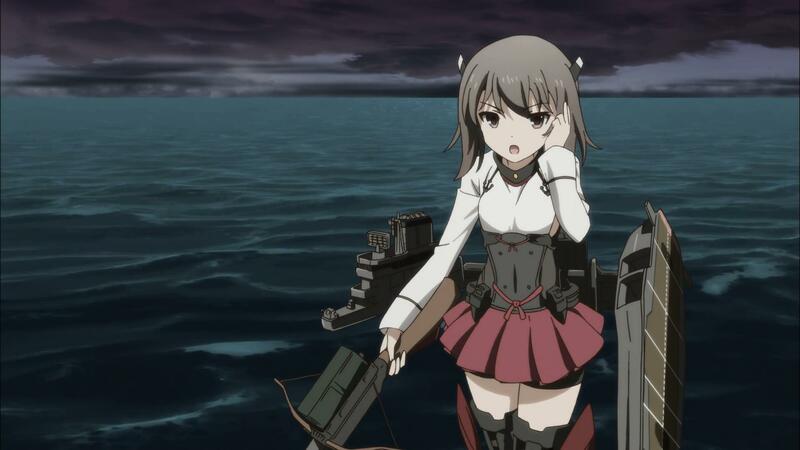 Kantai Collection’s final episode to me felt rushed. It was the adage of too many cooks stirring the pot. The writing teams felt they needed to make an impact on it and all that did was ruin what could’ve been a satisfactory ending to a show already being abandoned by the core constituency of the players. Missteps throughout, from the bomb launched at Akagi conveniently disappearing, to the Admiral’s return, etc. I did like the changes for the Himes. 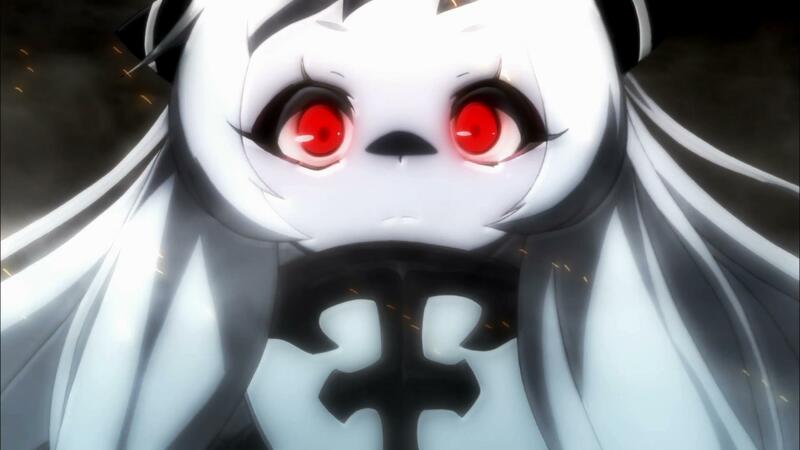 The evolution of the Airfield Hime to Midway Hime rests the question of ‘why’. Why was Airfield Hime (Henderson-chan by fans) used over Midway? Well a little bit of game mechanics, recent ones at that, with the first form and second form. The first form is for draining the ‘health bar’ on event/boss maps, while the final form is when the health bar is close to empty and it needs a clean, solid kill to clear the event/boss map. I thought that was rather cool. But to focus on the good, the biggest was the fact Zuikaku and Shoukaku arrived. 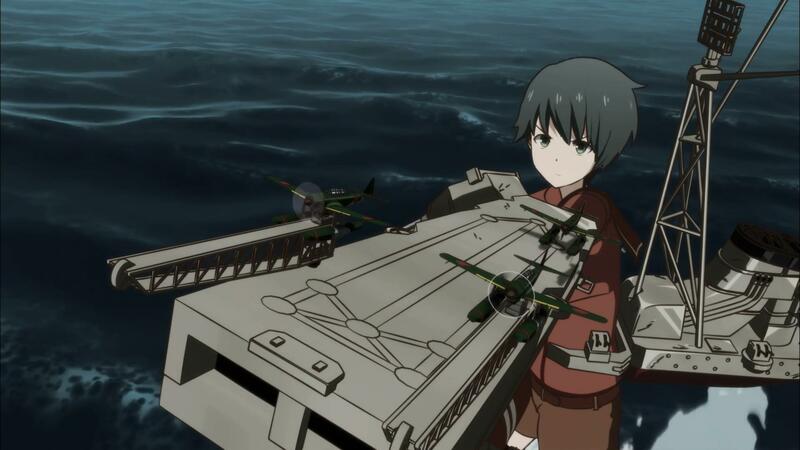 Repaired from the previous sortie with the timely arrival of a repair bucket, they also brought along a bow fitted with a repair goddess consumable that repaired Kaga, as well as more ammo. 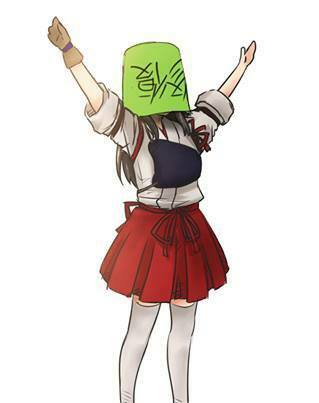 Then there was Taihou’s arrival. 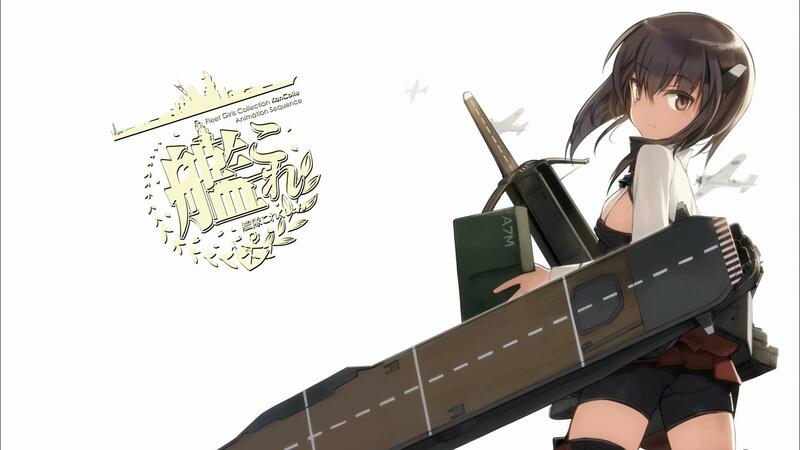 The first of Shimada Fumikane’s contribution to Kancolle appears. Then there was Ooi flipping out on that poor Abyssal destroyer. 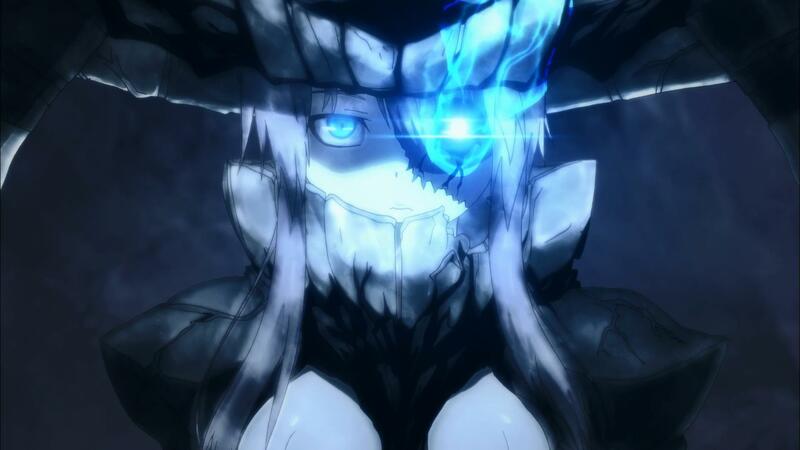 But in all, the final episode to me had the biggest cop-out in terms of Wo-class Flagship Kai. Spending a few episodes making her out to be the villain of the piece, Black Wo~ck Shooter was taken out off-screen. 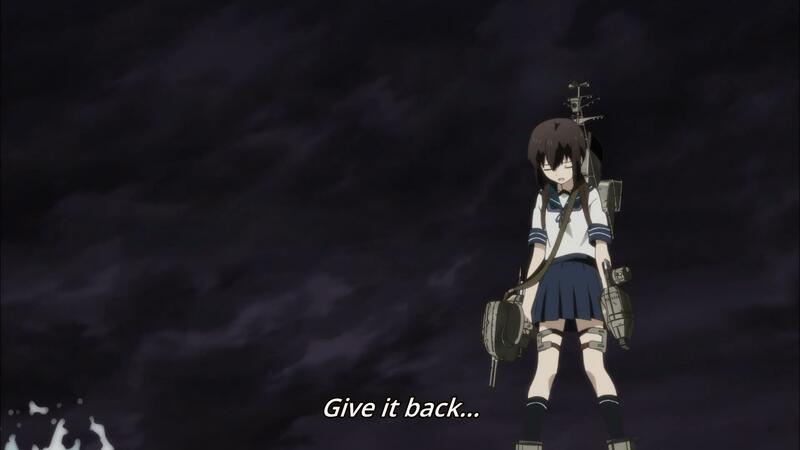 Now I do believe there is a reason why she offered no resistance to Fubuki launching a spread of torpedoes at her, and it’s more or less shared by my friends. 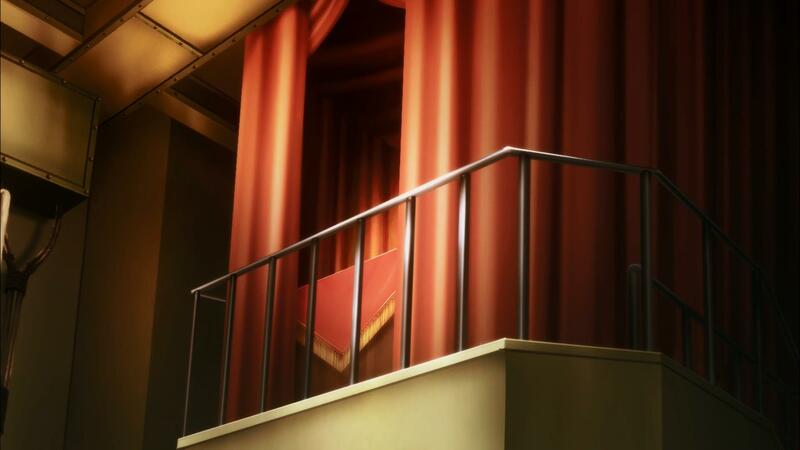 Is that this particular Wo is either a reborn Kisaragi (hence the hairpin and the eerie ‘give it back’ line), or connected to the deceased DD in some form. As for the Admiral, we joked about how he had logged off to go to his part-time job, and then came back and bought a bunch of stuff with web money to finance not only the repair buckets and goddess, but also the resource to do a Large Ship Construction to obtain Taihou, especially since Akagi was the flagship. There was just so much the writers can do, so many it can please, that even with three writing teams, they weren’t even on the same page. The only consistencies I found in the series was the fact the fated Battle of Midway was reversed, that Fubuki was at least a good attempt in injecting some personality into a bland and thoroughly vanilla character, the poi was overused (like seriously, it even got a kotaku article), and that we have kanmusu doing cute kanmusu things (6th DesDiv anyone?). A sequel has been announced, though if it wants to wash off the rather confusing stain that was this season, they need to do a few things. Mainly stave off the fan anger over the ending and a lot of other reasons why fans are up in arms, they really to decide on a course. Slice of Life, Grimdark, a healthy mixture of both? Make people care about the characters? Because the Anime just opened up the game to people, the whole franchise actually. There are a lot of work done by paid writers and artists, as well as fan-made stuff from artists, writers, musicians, and everyone else. They can’t include everyone, it’s best if they found something and stuck with it. References to fan favorites and memes is fine, but trying to include everything just fails. I’d keep only some episodes for rewatching, and lament the awesomeness that could’ve been for the last episode. The Anime still gave us a pretty impressive soundtrack, with the ED ‘Fubuki’ been on repeat on my Galaxy S5 when I’m on my way to work on the employee shuttle. So they do have a chance of salvaging the animated media. All other works and the game really not being too badly touched by this rather poor attempt. If I had to give it some numeral rating system, I’d probably go with 7/10. It had good music and had episodes that shined, referenced a lot of fan and official stuff, and managed to rope in their original voice actors. It had crappy pacing, a confused plot, and a very so-so ending and some animation glitches. 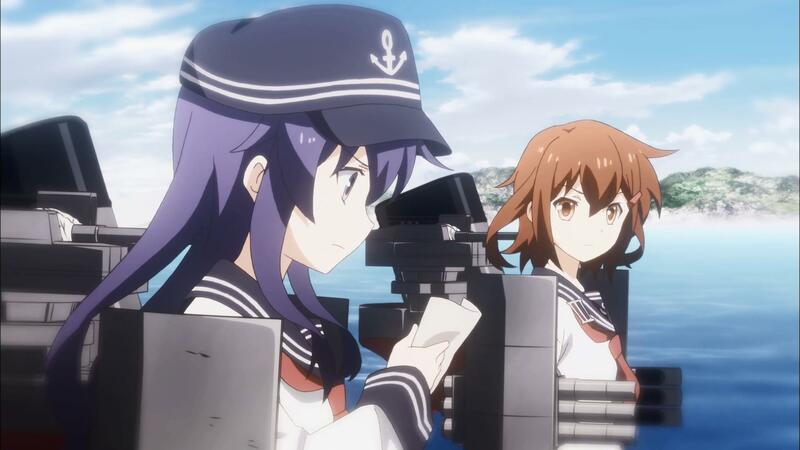 This entry was posted in Anime, Kantai Collection, Kantai Collection: The Anime, Video Impressions. Bookmark the permalink. Will you be watching the second season? Most likely. It wasn’t as bad of a train wreck really, and as I’ve noted, it’s trying to appease too many at the same time. They need to stick with a line and stay on it for S2.